In the turmoil which is today's business environment, we strive to provide quality professional services and advice to our clients in an ethical manner. As part of this process, we obtain regular training in accounting, taxation, business practices, and the use of technology in business. We are a technology-oriented firm; we were first accepted into the IRS' E-File program in 1999. Today we strive to be a paperless office; tax returns are delivered electronically through our secure web portal. The firm opened in 1992 in Scarborough, Maine. During 2002, the firm moved to its' current location in Southwest Harbor, Maine. We serve clients throughout Maine and across the country! Jim is the firm's Managing Principal. His expertise extends across a variety of areas, including Individual Taxation, Business Accounting & Taxation, Business Process Development, Healthcare Practice Management, and technology. 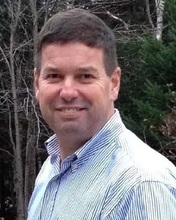 Jim began his career in 1987 after graduating from the University of Maine (Orono) as an auditor with Arthur Young & Company, then one of the "Big 8" firms. The majority of his career has been in Public Accounting, although he has had a couple of sojourns into accounting/finance at private companies. He was the Director of Finance for Martin’s Point in Portland, Maine, a full-risk medical practice (Capitation Contracts) with revenues in excess of $50 million, and has also been the Controller for manufacturing & distribution companies. Jim specializes in strategic financial services & helping businesses with financial management systems. Additionally, he has significant experience with computer hardware, software, networks, and data warehouse systems. In addition to spending time with his 2 sons, Jim enjoys freshwater fishing, archery hunting, lobster fishing, riding his vintage motorcycle, and working with technology.